Ally loved her iPad. It was her companion on trips, friend at the coffee shop, and medium for getting in touch with her family back home. Unfortunately one day she was walking with several items in her hands. 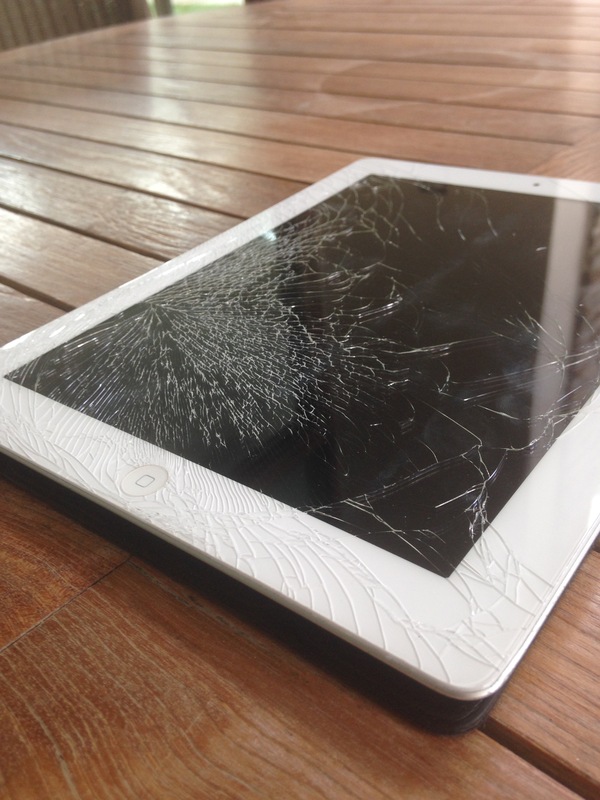 A quick distraction and her iPad went flying to the ground resulting in a cracked iPad screen. She was bummed as if she had lost one of her best friends. Her next move was to ask around for placing in Abu Dhabi to repair her broken iPad screen. A few friends recommended iRepairUAE and Ally took their advice. A phone call later, Ally was on her way to getting her old friend back to normal. Well, that’s no fun. It never is. Too many times in this day and age, kind people around the world are left victims to the glass damaged by a drop. Kim was happily off in dream land when she must have brushed up against her night table and knocked her iPhone 5C to the floor. 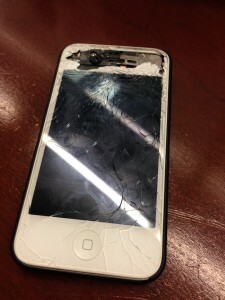 As you can see from the picture, the small drop did a number to her screen. Not a nice way to wake up in the morning. She loved her iPhone 5C very much and it hurt her looking at the cracked iPhone 5C screen every time she needed to write a text message or make a phone to a close friend or coworker. We can sympathize with Kim and her cracked iPhone 5C screen, as we too have cracked our screens before. It’s never a fun time. It’s never something that you wish upon another soul. Everyday we see several people out there carrying around their damaged screens. We wish we could help all of them! We want to help all of them! So if you have any friends or coworkers that have the same problem as what Kim was going through, please feel free to put them in touch with us. We’d be happy to help with all of their Apple device repair needs. Back to Kim – After a few tears were shed Kim began looking for places in Dubai to fix her cracked iPhone 5C screen. Within a few moments online she found a service that could repair her screen and even provided the convenience of meeting her at work to do the repair. We met Kim that afternoon and replaced the screen on her 5C. She can now go back to sleeping in peace, with the understanding that it’s best to have her phone parked far away from the bed side.